Today we present you a huge collection of the best Bootstrap WordPress themes developed with the mobile first approach and designed for portfolio, business, blog, personal, eCommerce and other websites. It makes a great choice for wider theming thus making it a perfect fit for many WordPress theme developers to build their design on. Here are the 20+ Best Bootstrap WordPress Themes (Free & Premium). This list includes a few free themes, some premium themes, and a few others that offer free & paid versions. 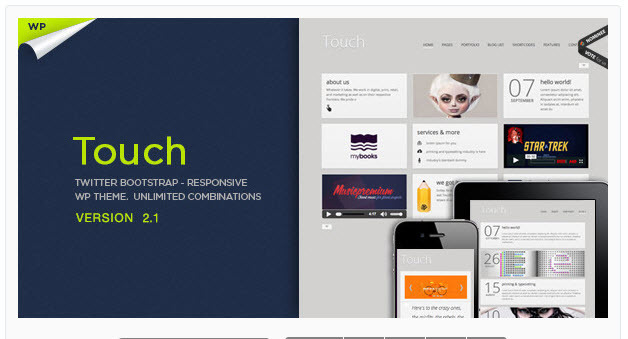 Touch Twitter Bootstrap – Responsive WP Theme. Unlimited combinations on any page. Very powerful theme which suits both, creative and business users with no programming background, as well as advanced developers. The Theme is built on top of the great Themeple Framework. Foundry is a profoundly smart, entirely unique, impressively flexible and pliable, functionally sophisticated and aesthetically stylish, deeply customizable WordPress responsive multipurpose multi-concept theme, constructed from the ground up as an inherently mutable theme, a carefully curated toolkit of the most crucial and powerful tools available to create the most modern and professional websites on Earth. Foundry is the place where you can forge true prized jewels of the internet, and to do so, Foundry has been constructed as a uniquely modular theme. 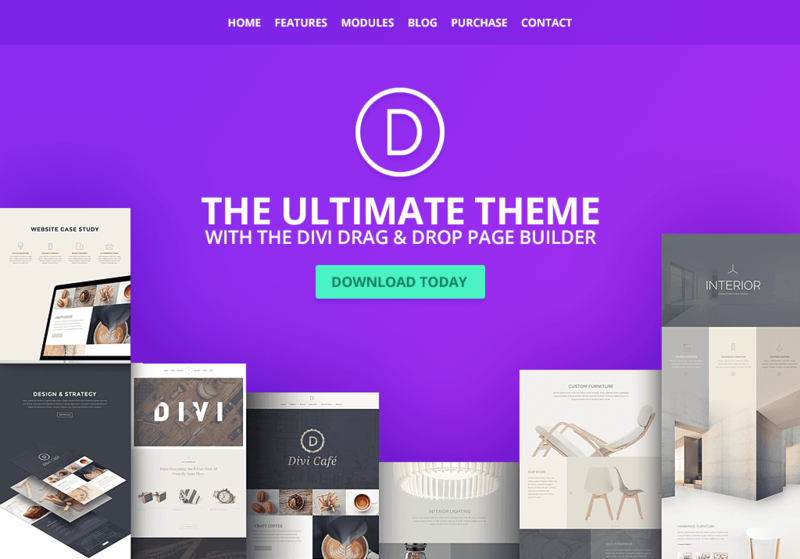 Massive Dynamic comes with most advanced live website builder on WordPress. Featuring latest web technologies, enjoyable UX and the most beautiful design trends. It provides a platform to simply drag&drop elements, choose styles and see the result instantly… You can literally create a whole website in minutes! Spectacular is an impressive WordPress business theme. The Theme Options do not require any coding knowledge. You only need to click and select whatever options fit your vision. It incorporates a full width creative blog style as well. One of its most impressive features is that it lets you sample the content by trying the demos. In addition, you may interact with the demo and personalize it, without spending a single time. Currently, there are over 28 of these templates available. Kalium is a creative WordPress theme that will showcase your Portfolio, Agency, Photography or Blogging (plus much more). With stacks of layout designs, user friendly Theme Options and rich Drag and Drop content builder to help create your perfect site in minutes, Kalium is well organized and visually stunning and constantly evolving. Pivot is a flat and responsive WordPress Theme with a clean and professional design which will be a great solution for your business, portfolio, blog or any other purpose website. Pivot was built with awesome Twitter Bootstrap v3 and it loads of page builder elements pages with unlimited color options. Since it is responsive, the layout will adapt to different screen sizes which will make your website be compatible with any device such as smart phones, tablets or desktop computers. CoPro is a very professional yet super-easy to use theme. Perfect for anyone new to WP. Make your website better with Rhythm with just under 2 minutes of installation. 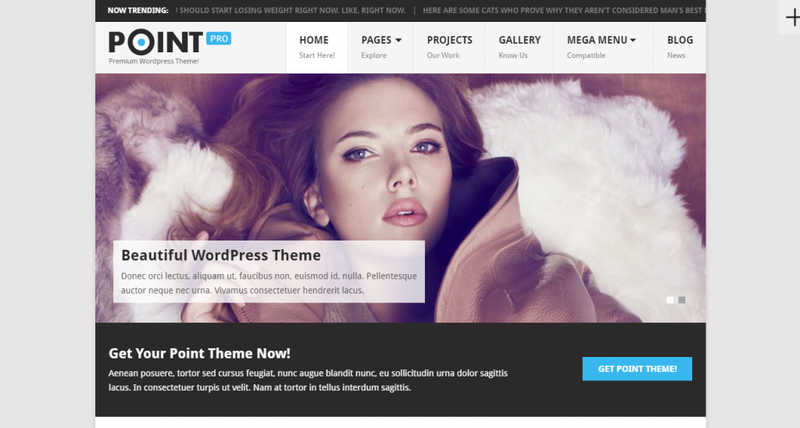 Uplift is one the newest multi-purpose themes available for WordPress. Therefore, if you’re looking for an innovative design for your website, as well as all the latest features and functionality, this Uplift WordPress theme review will tell you everything you need to know about this new product. PointPro is a premium WordPress theme for professionals. With a modern, responsive design, a stunning layout with lots of headings and sections and a slew of top-end features; this is a theme that can allow you to compete with the top players in your niche! If you want to create a magazine base or a viral website, then Griffin is the template for you. It comes with a grid base design similar to Pinterest and is one of our most popular theme to date. And for good reason too, the layout as been proven time and time again to increase time on site and the number of pages visited. Put the spotlight on the popular articles the Griffin featured post highlighter. Stamp your brand identity on your website with the use of the customizable header to leave a lasting impression on your users. Grid layout which exposed more of your content to readers. WordPress.org approved adhering to industry best practice. Zerif Lite theme is the perfect choice for more than thousands of WordPress users. It’s a ThemeIsle product, a known developer in the town, and in spite of being a free product, it comes with dozens of premium integration like WPML and RTL support, WooCommerce compatibility, etc. The theme is built on BootStrap framework with Parallax support. It is following SEO norms perfectly to ensure better rankings at SERPs. The theme is responsive, and Retina display ready. This one comes with a true flat design with a bunch of customization options to adjust the color schemes, or change the header area, background, etc. The theme is totally responsive and is based on WordPress standard starter theme (_S) to ensure lightweight and perfect compatibility with the platform. The developer behind is also keen on bringing updates to the theme, which is a good thing to consider before installing one. The theme comes with a fluid layout with flexible header and dedicated layout for mobile devices. It comes with Translation support, ensuring content’s availability for global audiences. It also supports RTL language. The theme comes with Sticky Post and Theme Options panel.